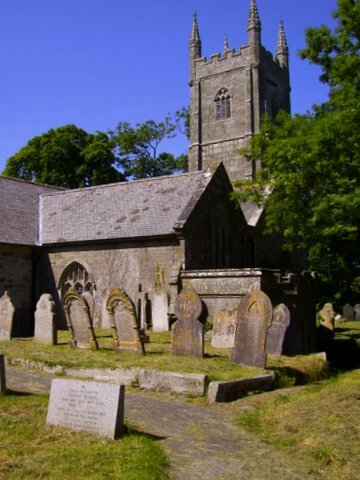 The Churchyard is owned by the Parochial Church Council who have the duty to maintain the Churchyard in accordance with the regulations laid down by the Diocese of Truro. These regulations are binding on the clergy, funeral directors and PCCs and all those involved with using the churchyards for burials of bodies or cremated remains. The principal purpose of the regulations is ‘to preserve suitable and harmonious surroundings for parish churches and maintain the dignity of the burial grounds’. Those entitled to be buried in the Churchyard are residents of the parish of any denomination, those born in the parish or those with strong parish connections. The erection of a memorial is a privilege that requires the permission of the Rector, through the delegated authority of the Chancellor of the Diocese. All memorials must comply with the regulations. A minimum period of six months should elapse between the burial and the erection of the memorial, to allow the ground to settle and for consideration of the memorial required. Responsibility for the safe installation of the memorial rests with the monumental mason. Ongoing liability for the memorial’s maintenance rests with the family and heirs of the deceased. The document is entitled: Diocese of Truro: Regulations concerning Memorials & Headstones in Churchyards & Consecrated Burial Grounds. Only materials of approved natural stone (locally quarried), hardwood and slate are allowed. There are maximum and minimum dimensions to headstones and memorials. There are to be no kerbs erected round the grave space and no gravel on the grave space. Flowers are to be in a suitable vase or container, preferably granite to match the headstone and either to be integral with the headstone or placed directly against the headstone and not in the centre of the grave space. These vases can generally be obtained from the memorial mason. Glass vases or containers should not be used. Temporary containers should be removed as soon as possible after use. No bushes or shrubs are to be planted in the grave space. No artificial grass, matting, stones or gravel are permitted beside as well as on graves. No artificial grass or matting beside graves are permitted. Photographs or porcelain or other portraits or pictures are not permitted. All wording and decoration on memorials are subject to approval also: dedications should be simple, reverent and consistent with the Christian Faith. One suitable toy or tribute may be placed on the grave of a child (a person under the age of 18 years), provided it is removed after a period of six months. No food or drink items, whether fresh, packaged or processed, should be placed on the graves. Wreaths and cut flowers may be laid on graves but must be removed as soon as they have withered. Remembrance Day poppies, traditional Christmas wreaths and other artificial flowers (not plastic) may be laid on a grave for a period of not more than two months. All temporary memorials and crosses should be removed as soon as a permanent memorial has been commissioned. Burial of Ashes after Cremation: Wooden caskets with the ashes are to be buried in the dedicated position on the west boundary of the old Churchyard, with the prior agreement of the Rector. The caskets are to be buried at least 1” below the surface and covered by a simple tablet flush with the ground and approved by the Rector as with headstones. The Churchyard is regarded as a public space and thus the PCC is obliged to comply with relevant legislation in this respect. It should be emphasised that the Churchyard rules have also been designed with these requirements in mind. They facilitate maintenance of the Churchyard and help reduce the risk of injury to our operators when mowing and strimming: there have been several instances of people being hurt by flying glass and stones. Clearly we appreciate the co-operation of all users of the Churchyard in this respect. The rector is not bound by decisions made in contravention of the regulations by previous clergy. The existence of memorials and gravestones inappropriately authorised in the past are not grounds for further introductions of such memorials and gravestones. The Rector may authorise the removal of any wreaths, cut or artificial flowers that have withered, deteriorated or become unsightly. All the graves in the churchyard have been recorded thanks to the kindness and hard work of the Ladock Old Cornwall Society. A schedule and plan appear in the baptistry.